For those just beginning to sign as well as those well on their way. 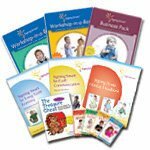 The Signing Smart Complete Starter Kit will give you the motivation and tools to make signing successful in your family during infancy, toddlerhood, and even the preschool years. Perfect baby shower, new baby, or 1st birthday gift! All you need to run fun, rewarding Signing Smart programming in your area! Whether you are new or are looking to enrich your current offerings by becoming a part of a growing team of Signing Smart Instructors, this Pack is for you. Includes multiple additional documents and support resources. Are you looking for research-proven tools and strategies to make signing with your child simple, successful, and fun? 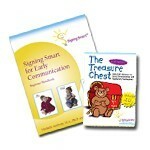 This ASL Kit contains all you need to begin experiencing the wonder that Signing Smart will bring to your family. Perfect baby shower, new baby, or first birthday gift!